#17. Two Trees. 44 x 36, oil on canvas. "Gilbert Munger 1901" lower left. 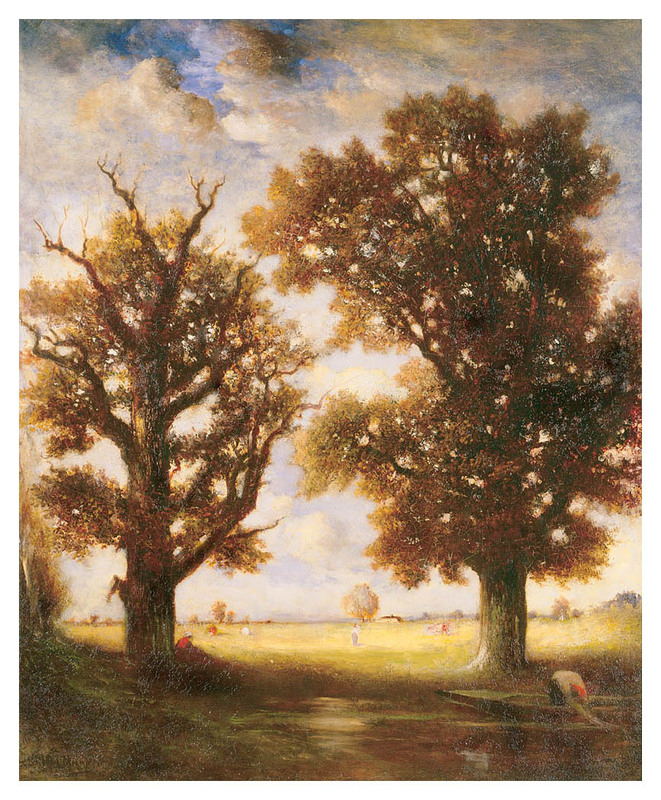 The date is after Munger returned to the U.S. but the style is Barbizon and the painting probably is based on a sketch done in France. 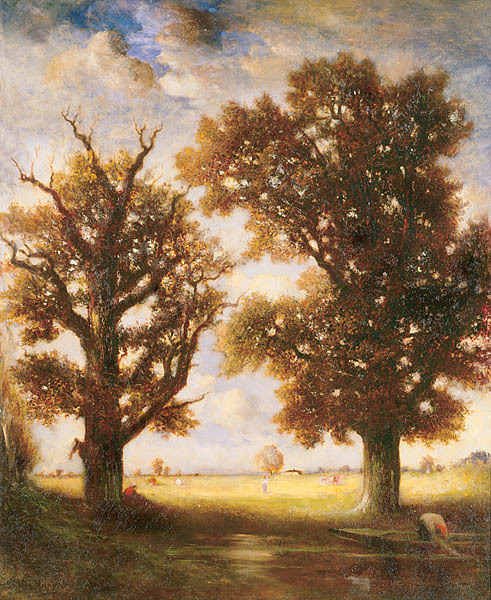 Note the similarity to the trees in painting #34. At Tweed Museum of Art, Univ. of Minnesota Duluth, since 1978. IAP 25680122. QFD 73. See American Painting at the Tweed Museum of Art by Sweeney, 1982, p. 69. Image from museum's transparency.